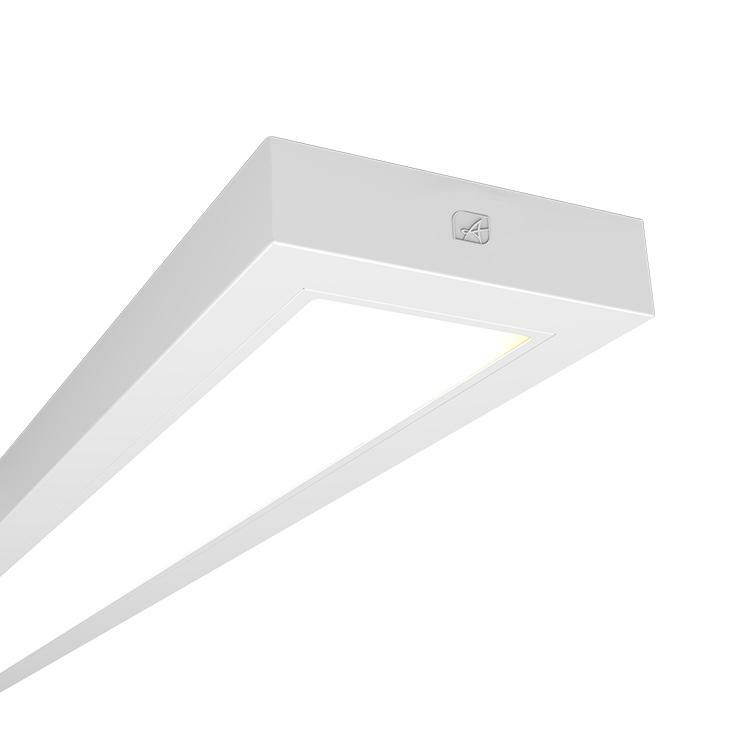 High specification full enclosed linear luminaire with Optimum glare control provides UGR19 compliance. Microprism diffuser for excelled photometric performance. Suitable for surface and suspension. Ideal for most commercial and educational applications. LED lifespan L70 56,000 hours option. Supplied c/w integral driver.